Rotary Club of Castle Rock member Jeff Mosal, left, is on a work assignment back east. 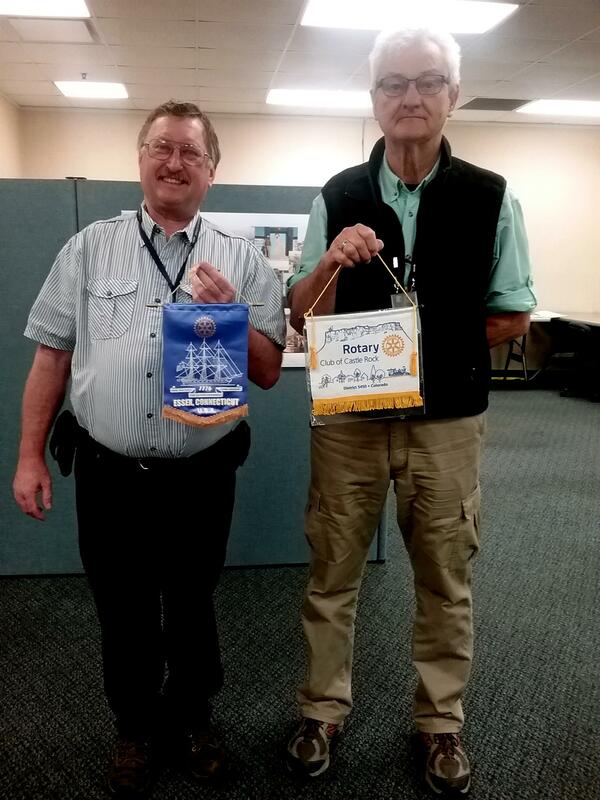 He recently exchanged club banners with fellow Rotarian and FEMA Reservist David Newbegin. David is a member of the Rotary Club of Essex, Connecticut. They are deployed to Florence, S.C.